Your customers will judge your company on the quality of the documents you send them. Make them great, every time! Compact, easy to use, quick and affordable! 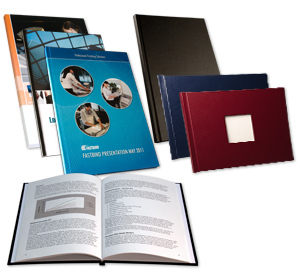 Bind Soft and Hard Cover or Stripe back presentations with standard or personalized covers. 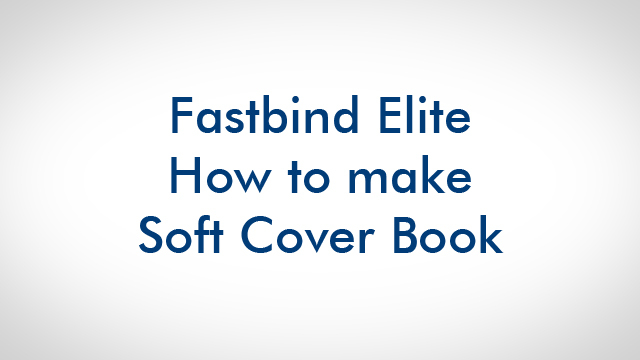 With the Fastbind Elite, making a soft cover book takes less than 30 seconds. There are no adjustments for format or thickness, from 1 to 1000 pages and up to A4+. Fastbind Elite is equiped with our special PGO system. PGO is a silent dust-free roughening unit. It allows you to get the strongest bond even with heavy stock and coated papers. Fastbind provides all the consumables for these three soft cover options, including printable covers.